Hi there! Hannah, from Fanciful Spaces here! I am SUPER excited to bring this card to you today! 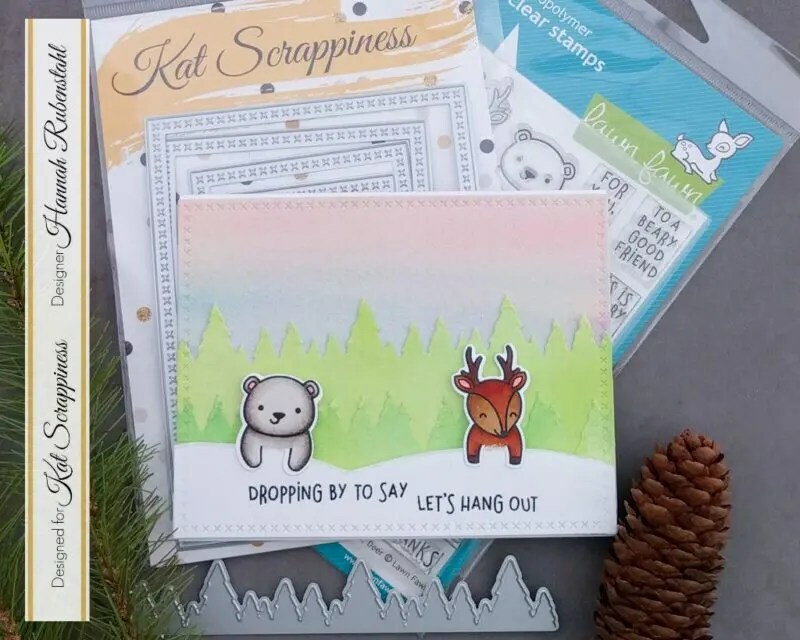 I had the awesome opportunity to work with one of the new releases by Lawn Fawn, and with Kat Scrappiness‘s great dies, to bring a card to you today and this is what I made! If you don’t have time to watch the video, come back later it will wait for you, but for now, check out these photos that I took during the crafting process! I used Zig Real Brush Markers and Arches Cold Press Watercolor Paper to create a background. I die cut two tree panels out of Neenah Solar White paper, these were colored with Distress Oxides and Inks. 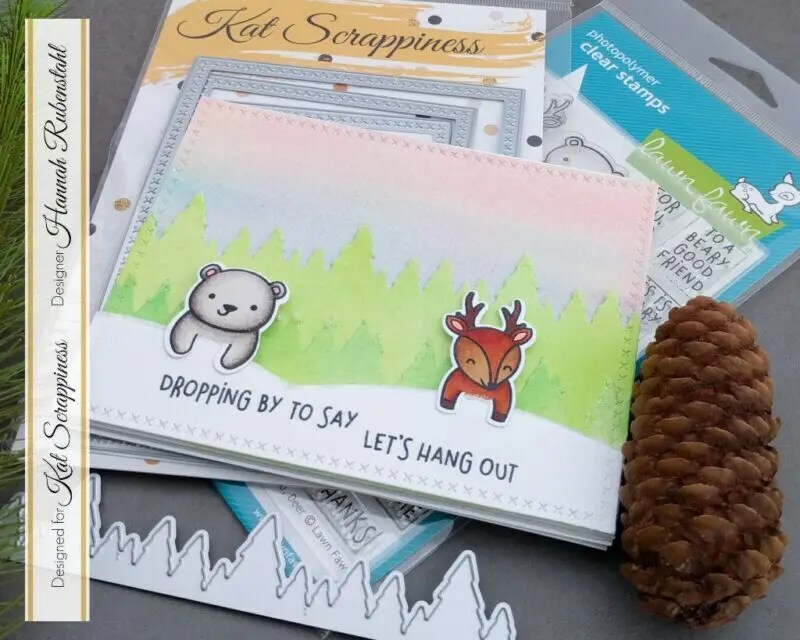 I used the Pine Tree Border Die by Kat Scrappiness. 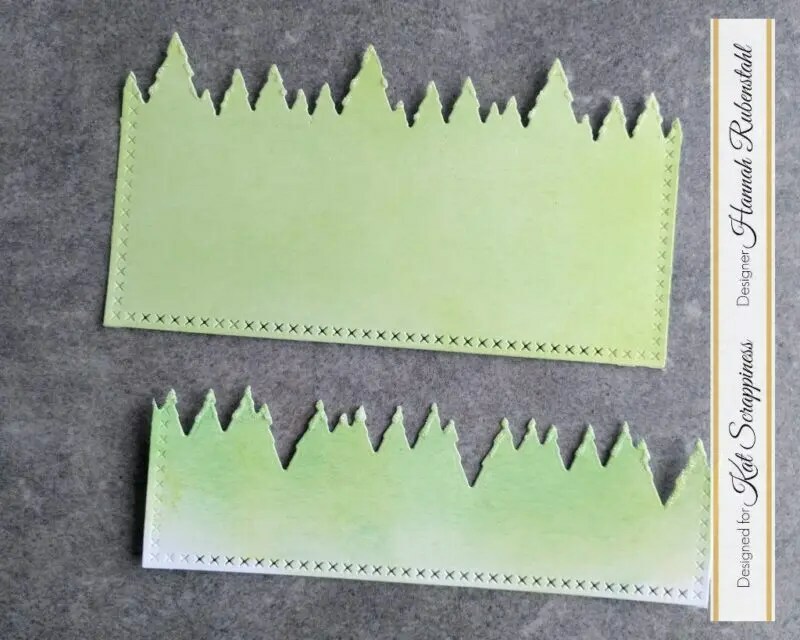 The top tree set is the die used as intended, the bottom tree set is my using the die upsidedown so that I was using the negative of the cut. I traced out a snow bank and added glitter to the edges using Nuvo Pure Sheen Glitter in Diamond and Ranger Multi Medium Matte. 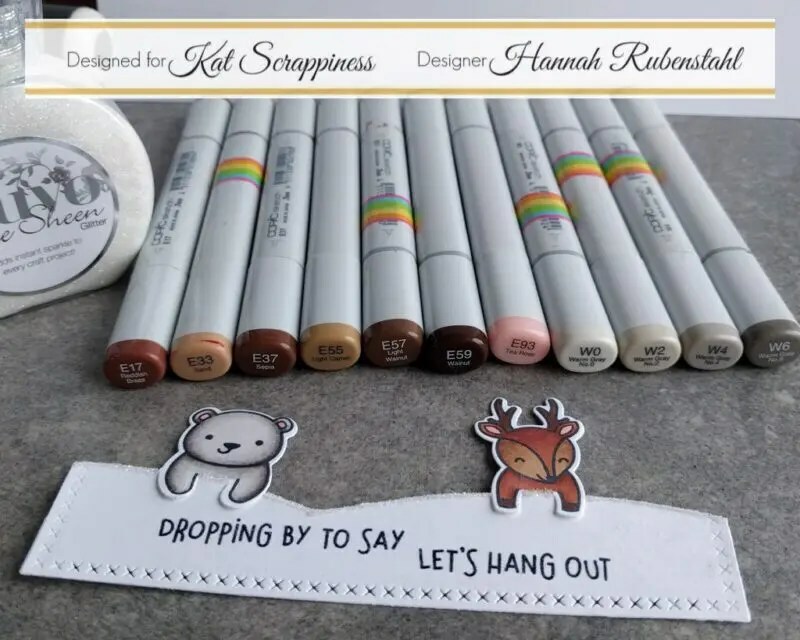 Here you see my cute little-colored critters and the Copics I used, the video shows a speed up version of my coloring and it lists which color I used when. My video failed to record the final steps of my card making. I basically layered and taped each layer down with Scor-Tape. I did pop the snow layer off of the front by using some fun foam, which I also extended behind the critters to prevent them from getting damaged in the mail. I LOVE the soft colors of this card, and how the critters just pop out at you! For a full list of the products, I used see below! You can place your order, and get a discount, by using Hannah10 at check out! Your card is truly adorable !! 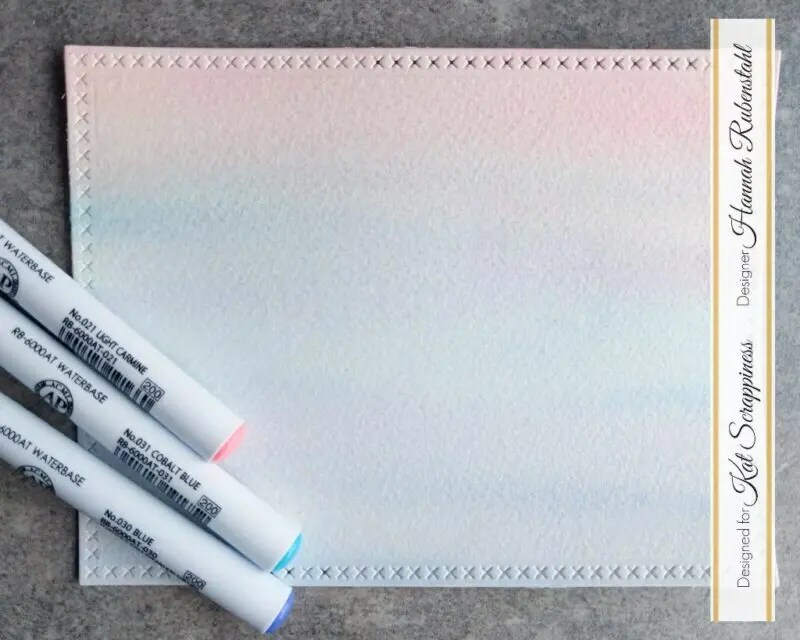 I really the soft pastel blended background/sky !